We’re looking for a mid to senior Ruby developer to join our team. Altmetric analyses the online activity around scholarly content to measure the broader impact of science and research. We deliver and support products such as the Altmetric details pages, Altmetric Explorer and the Altmetric badges. Our customers include institutions across Europe, North America and Australia and scholarly publishers such as Springer Nature, Wiley, Taylor & Francis and MIT Press. We develop software in a friendly and flexible working environment, processing hundreds of thousands of scholarly mentions and serving over 22 million API requests every day. We’re currently based at Kings Place, in Kings Cross. As a portfolio company of Digital Science & Research Solutions Ltd, we share our office with other scientific start-ups including figshare, Overleaf & Symplectic. Software development in a team including automated testing and code review. Ultimately, we’re looking for people who are keen to learn and flexible in their approach. You will be part of a team responsible for the development and maintenance of our user-facing web applications and data pipeline. Using best practices, you will continuously deliver our products to customers around the globe and shape our engineering culture. Adding Shibboleth authentication to Altmetric Explorer for Institutions, allowing institutional users to use their existing user accounts and ensuring a seamless and secure user experience. 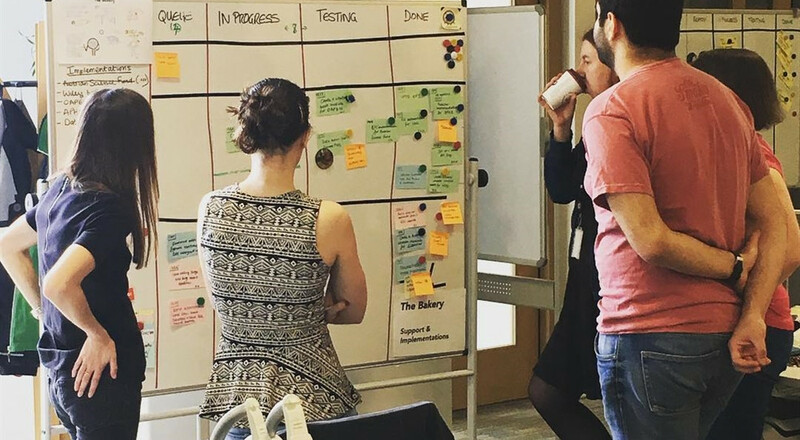 In order to create time for personal development, we hold “hack afternoons” every two weeks for team members to explore new topics and technologies and work with people outside their usual product team. We offer a competitive market rate salary and all members of the team are provided with a MacBook Pro (we are happy to discuss your requirements before you join) and have an annual training & conference budget including international travel. We are users of open source software and we support this in any way we can. We also offer company benefits such as a personal pension plan, life assurance cover, childcare vouchers, private medical insurance and a travel or bike loan.